We have plans in place to enable us maintain a safe service to patients on Wednesday 30 November, when some of our staff will take part in industrial action over the government’s proposed changes to public sector pensions. 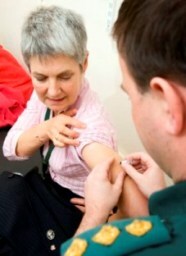 London Ambulance Service staff are fighting flu by getting vaccinated against the virus that killed more than 600 people in the UK last winter. 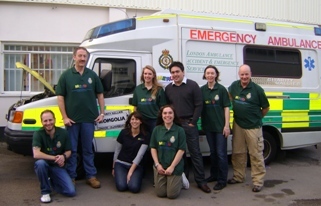 Six decommissioned London ambulances will be setting off in convoy on an epic 10,000-mile road trip to Mongolia from Horse Guards Parade this Saturday at 10.30am. 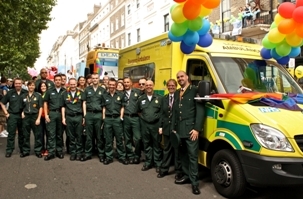 Around 40 members of London Ambulance Service staff, including their friends and families took to the streets to celebrate Pride London. 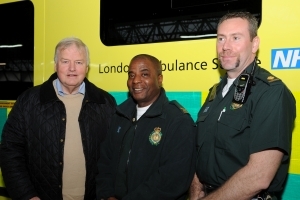 Colonel Bob Stewart, MP for Beckenham, visited Bromley ambulance station on Friday (18 November) and joined a crew for a shift to get a first hand view of the job our staff do. A Pimlico man, who made hoax telephone calls to the London Ambulance Service, has been sentenced to 14 weeks in prison. 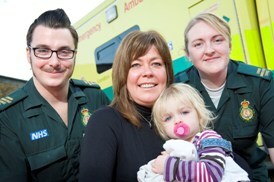 A two-year-old girl was today reunited with the ambulance crew who saved her life on bonfire night. More ambulance workers are being attacked on the capital’s streets according to new figures. London Ambulance Service will be remembering those who were killed or injured in combat this Sunday (13 November) at the service at the Cenotaph, Whitehall, and other events across the city. Ambulance staff are joining forces with police colleagues to teach children from the Frank Barnes School for Deaf Children about the London 2012 Olympic and Paralympic Games. Burnt hands, a firework in the eye and smoke inhalation were all treated by London Ambulance Service staff in the run up to bonfire night. A would-be thief targeted an ambulance on an emergency call in Kingston last week. 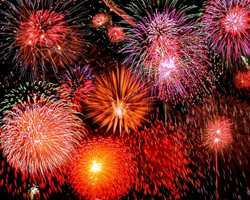 The London Ambulance Service is reminding Londoners to stay safe this weekend and take care when handling fireworks.